Upon going to your local pharmacy to shop for your prescribed medications or visiting your physician for a regular check-up, ensure to give your health provider a list of drugs you are currently taking. Through this, they would know your medication circumstances. Having a proper drug storage can help keep its efficiency and potency. Moisture can significantly alter your drug, making it unusable. Keep medicines away from a kid’s reach, and be sure to lock it up for safety when not in use. This can be useful if your seniors live with small children or pets. Several households are hesitant to use a pill box, but its usefulness should offset the anxiety. By using a pill box, you can reduce the potential risks of consuming a medicine. It keeps you organized, most especially if you have tons of pills to consume in a day. You can easily detect if you’ve missed a dosage by looking at the previous days and times to see if those pills are still in the box. As health consumers, one should eliminate the notion of diagnosing and prescribing medications to one’s self. If your physician prescribed you to take a medication for a specific length of time – even if you’ve already felt better before finishing the entire set – continue on taking it anyway. NEVER skip or avoid drug usage UNLESS specified by your healthcare provider. By skipping or cutting medication consumption, you’re only digging for the worse to happen. On a similar note, if you think you need a higher dose or a medication isn’t going well for you, consult a health professional before changing your medication regimen or routine. Bottom line is to always seek AND follow professional advice. – to any of your health concerns. If you’re unsure about what your medication is about, what its side effects are, or how often you should take it, never hesitate to start a dialogue with your healthcare provider. And don’t be afraid to ask for a second opinion. It’s important that all parties involved (such as seniors, relatives, healthcare practitioners) have crystal knowledge about the prescribed medicines. Do not be a submissive health consumer. Be assertive about your health. DO YOU HAVE ANY OTHER MEDICATION TIPS IN MIND? 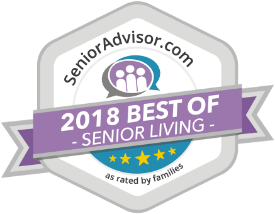 Bella Care Home’s assisted living facility in Clovis California continues on looking for ways to keep a senior’s lifestyle safe, comfortable, and full. 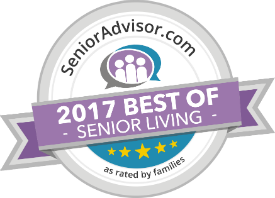 Your seniors will always be in safe hands with our assisted living facility in Clovis California. If you have any other medication safety tips in mind, comment down below!